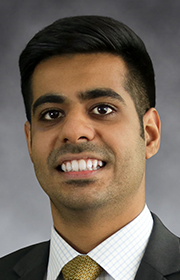 Dhruv Kharbanda – Tudor, Pickering, Holt & Co.
Dhruv Kharbanda serves as an Analyst in the Research division. Kharbanda previously worked as a summer intern with TPH&Co. Prior to joining TPH&Co., Kharbanda served as an investment banking intern at Methuselah Advisors. Before that, Kharbanda served as an intern at McKinsey & Company. He holds a BS in Commerce with a Finance Concentration from the University of Virginia.